Chateau Belingard lies at the heart of the Monbazillac and Bergerac wine region, an area famous for its ‘vins doux’. The same family has worked this soil for more than two hundred years. The clay-limestone terroir lies on the hillsides of the left bank of the Dordogne river. 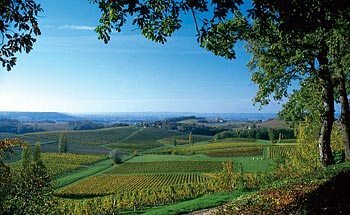 It is surrounded by the Saint Emilion district, the main Bordeaux producing area and vineyards from the Garonne Valley including the Graves and the Duras districts. Chateau Belingard is soaked in ancient history. The name ‘Bélingard’ is said to have come from the Celtic ‘beleen garten’. This meant ‘the garden of the Belin god’, the god of sun and war. A sculpted rock on the site was probably used as a sacrificial altar some 3,000 years ago. Laurent de Bosredon waxes lyrical about the legends of mistletoe, oaks and wild vines from the past. He loves to tell the story of the Celts, the Hundred Years War and Plantagenets in Aquitaine. 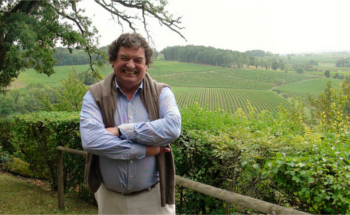 He speaks even more poetically about producing wine in the Monbazilla and Bergerac wine region. Chateau Belingard uses allier oak barrels for fermentation. Laurent also tries to be as environmentally friendly as possible. This has led to the the vineyard achieving High Environmental Value certification.